ANTHONY YARDE has landed himself a spot on the biggest night of boxing in 2018. The self-styled ‘Beast from the East’ set to fight on the huge Deontay Wilder-Tyson Fury card at the Staples Center on December 1. The 17-0 (16KOs) WBO Intercontinental and European champion will have his 18th professional contest in Los Angeles. 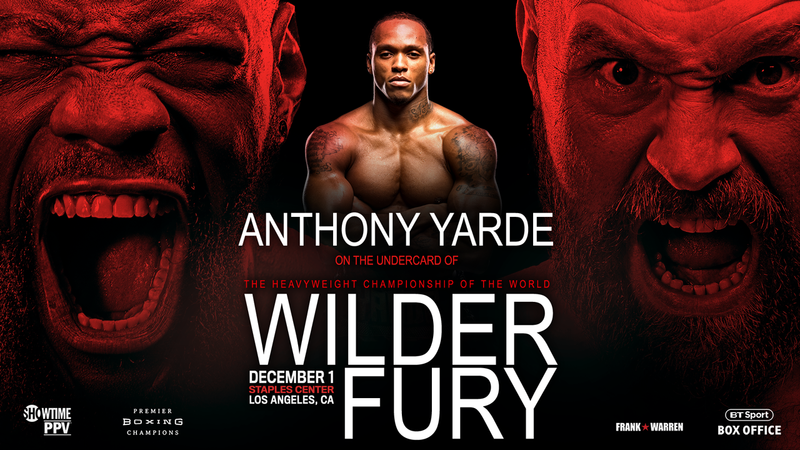 Yarde fights on the undercard of the huge heavyweight collision between the WBC world champion and the unbeaten lineal champion of the division. “I’ve experienced the fight scene in the USA before and it is something I cannot wait to sample it again,” commented Yarde. “To be a part of such a huge occasion really will be something else and it will only inspire me to create nights like this for myself in the future. “These are the events you can only dream of being a part of and I would like to thank Frank (Warren) and my manager Tunde Ajayi for making it possible.